Teva’s uPVC windows and doors simply are the best option for any building. They’re more energy efficient, more soundproof, lower maintenance and more durable than anything else on the market. Thanks to our leading manufacture and installation process, our window systems are more difficult to break into, making your home more secure. They look good, they seal properly and they don’t break, rust or discolour. We offer warrantees to give you total peace of mind. What more could you ask for? How do we measure Energy Efficiency? The most important measure of energy efficiency is the U-Value, which measures the amount of energy lost through a window over time. Heat is energy. The lower the U-Value, the less energy lost – and therefore, the better the insulation. We can measure energy lost through the glass and energy lost through the frame. It is by measuring U-Values that we are able to compare Teva’s uPVC with other framing materials and say with certainty that we provide the best insulation in South Africa. What does that mean with glass? Other energy efficiency considerations are Solar Heat Gain and Air Leakage. The Solar Heat Gain Coefficient (SHGC) measures the amount of heat from the sun that enters the home. Again, as a non-conductive material, Teva’s uPVC lets in less heat than other materials. If a window is made from the most energy efficient materials in the world but it doesn’t seal properly, then air will leak through and carry heat out with it. 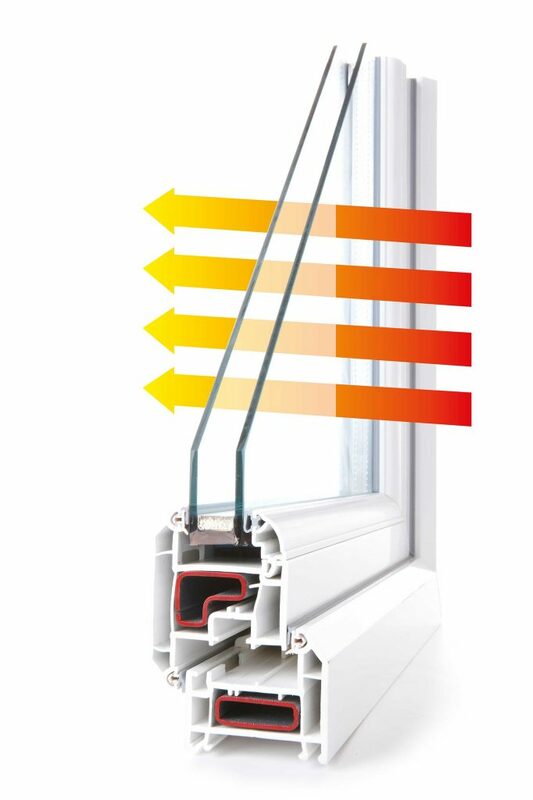 When Teva’s windows and doors close, they transfer zero heat through Air Leakage. We’ve tested this. What is the cost impact of choosing energy efficient windows? Up to 60% of a home’s energy is lost through windows and glass doors. If you reduce the U-Value of your windows and doors by 60%, you can conservatively expect a reduction in your home’s energy expense of 25% annually. This is according to an AAAMSA sponsored initiative published in 25 degrees for Africa. To achieve this, you should aim for a combined U-Value (glass and frame) of 2.7. How do we help clients with compliance? It may take numerous re-designs and calculations to align the optimum design of the building with compliance and budgetary considerations. That’s why we teamed up with BIM Bakery to develop a plugin for ARCHICAD that allows architects to comply as they design. What makes uPVC a Green material? uPVC and its products require 6 times less energy to manufacture than metal counterparts. The fact that clients are unlikely to replace uPVC products makes it extremely environmentally friendly. Where some windows may need to be replaced every decade, uPVC windows may be replaced every 4 decades or less. Teva uPVC is 100% recyclable. The most important measure of energy efficiency is the U-Value, which measures the amount of energy lost through a window over time. Heat is energy. The lower the U-Value, the less energy lost – and therefore, the better the insulation. We can measure energy lost through the glass and energy lost through the frame. It is by measuring U-Values that we are able to compare Teva’s uPVC with other framing materials and say with certainty that we provide the best insulation in South Africa.